Can I pay with Google Pay? 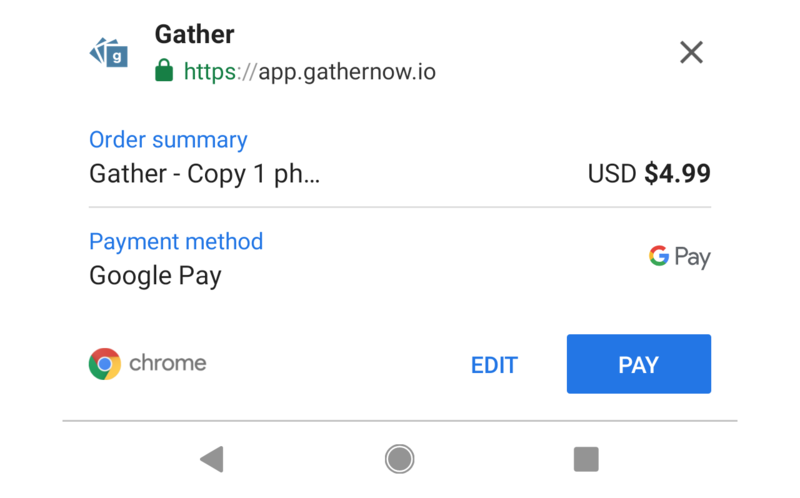 If you prefer the security and convenience of using Google Pay, here are details on what's needed for you to use it to pay for your Gather order. 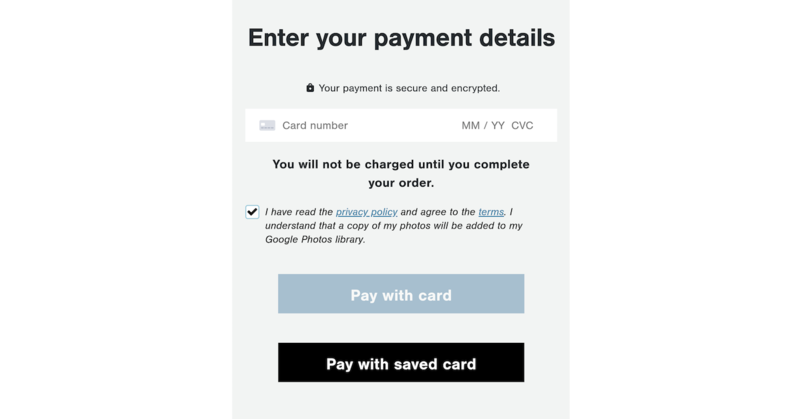 PLEASE NOTE: Google Pay is NOT supported for non-Android devices including desktop/laptops. If the requirements above are met, you'll see a Pay with saved card button. Once you tap on it, you'll be able to select the Google Pay card you wish to use.